Wilesco D21 is an operating model of steam engine whistle. This Wilesco D21 is used to operate the mechanical workshops like a drill press, table saw, and grinder because this steam engine provides the output as mechanical energy. This steam engine whistle uses steam and steam is transformed by boiling water through the heat in the boiler of Wilesco D21. First thing first, you have to add the water in the boiler. Fill the boiler 2/3 at least and then apply boiler fill cap. That cap inserted over the boiler is also the whistle. Start burning the boiler now. You can burn the boiler through gas burner or solid fuel tablets of Esbit. Now you have to oil the piston and other parts of the Steam Engine. In the meanwhile, water gets boiled. 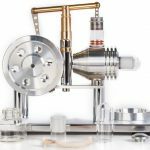 Release steam through the piston to operate the engine and the workshop attached to it. The manufacturer group Wilesco recommends this model D21 for the children of 12 years and more. But if your child is 10 years old and you feel that your child is sharper than the other kids of the same age and he can handle a bit of technicality then you can think of buying one for him as well. 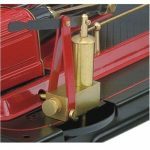 Wilesco Group recommends that D21 Steam Engine Whistle must be used under the direct supervision of an adult so that any discrepancies may be avoided. This product is strictly prohibited for the children of less than 36 months. 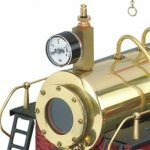 Wilesco D21 is a TUV (German Test Certificate) certified model of a Steam Engine Whistle. It has a metal body. 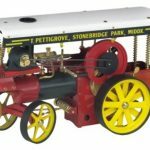 No batteries are required to operate this steam engine model. You cannot operate Wilesco D21 by remote control. You can only run this steam engine model manually. This manual operation ability provides in-depth knowledge to a child operating this model. Wilesco D21 has a firm body. Its body is made up of metal, and the presence of safety valve means this manufacturer does not compromise on quality. The pressure gauge can help you to be aware of the internal condition of the boiler. You can easily keep an eye on the readings to prevent any unpleasant incident. 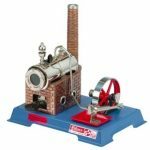 Wilesco D21 has a 500ml tank capacity which is more than enough for a child to operate its workshop using this steam engine model. Steam Engine Model D21 by Wilesco is not very huge. It weighs only 2.7kgs, so the shipping costs are not massive. 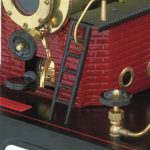 It is not very difficult for the children to handle it because the children of 10-12 years can easily handle this 3kg steam engine model by Wilesco. There is no need to set up this Wilesco D21 because it is already assembled before delivery. 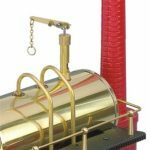 When you receive this Steam Engine Model D21 by Wilesco, you may need to put on just a chimney and a couple of other things. 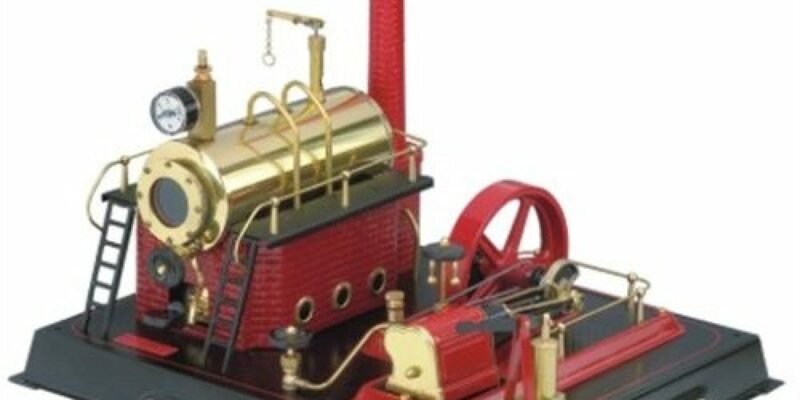 So you have not to pay any setup cost if you purchase this Steam Engine Model. 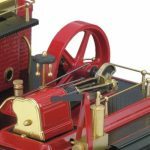 In my opinion, the D21 Steam Engine Model is a fantastic design and a classy piece of product from Wilesco.